I first started working out at Bodyshop Athletics X in September, 2012. I used to go to bootcamp classes at the Bodyshop in Lexington but when we moved to Chapin, it just got too difficult to make the trek across town. That was part of my problem – making excuses. I used to talk myself out of working out all the time – I’m too tired, I’ve got too much to do, my kids are driving me nuts, I need to run errands, I don’t want to wash my hair again….you name it. I enrolled in the Unleashed Weight Loss Challenge in January 2013. This was my second weight loss challenge but this time I was determined to loose the extra pounds and NOT gain them back. I’ve been a yo-yo dieter my whole adult life it seems. I’d lose weight then gain it back (and then some!) But during this last challenge, I was determined to change my life and stay on track. I told Jason that he had to push me hard during the workouts and even if I threw up or passed out….I need goals and challenges in order to stay focused and make progress. And that’s what Jason did. He challenged me and pushed me to my limits during each session. Then, the light bulb came on. Six months passed and I hadn’t gained the weight back. Amazing!!! It was working, I was staying on track! I’d set more goals and Jason would help me achieve them. I’d come in one morning and say something like “I wanna do a handstand pushup” and Jason would walk me through each step of the way, instructing and encouraging me the whole time. Or, I’d say, show me how to do this move – and we’d work on it until I got it. My life has change drastically since I’ve been at Bodyshop Athletics X. It’s not just a gym. It’s a place where courage is built, bodies become stronger and friendships are made. There is no intimidation, no uncomfortable conversations, no fluff or frills. To me, Bodyshop Athletics X is the place where I found myself again….where I enjoy coming, where my self-esteem has been strengthened, where I discovered my inner beast. 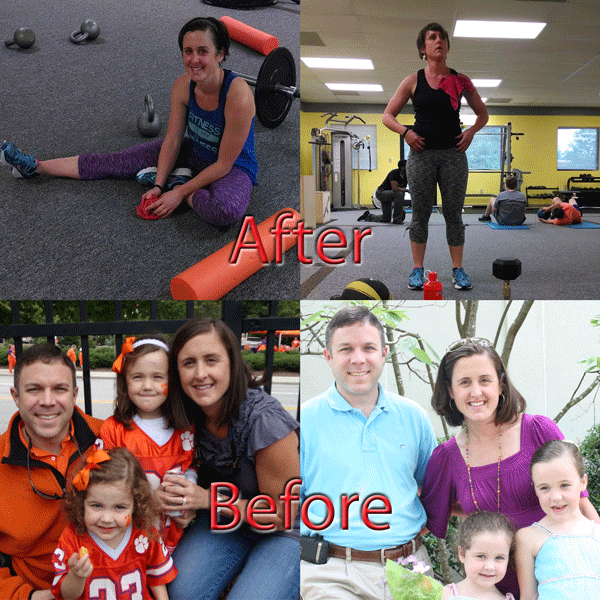 I feel like I’m such a better wife, mom and friend because of Bodyshop Athletics X. The past few months have been exciting for me. I’m also a runner. Since October, I’ve done two half marathons and two 5K’s and because of my conditioning and strength training, I’ve set PR’s in all four races I’ve done since October. My life is improving in Every. Single. Way. You can’t afford not to do this for yourself. You have to make time for yourself. You owe it to not only yourself but to your family and children too. Trust me, it’s the best gift you can ever give yourself!